Angel Di Maria signed for Manchester United in the 2014 summer transfer window for a then record-breaking transfer fee of £59.7m. At the time, the purchase of the Argentine from European champions Real Madrid was a statement signing for United – and he was immediately handed the famous number seven shirt at the club. He started his spell at the club well, scoring in United’s first win of the campaign against Queen Park Rangers. However a hamstring injury shortly after set the tone for the remainder of his short lived United career. Angel Di Maria went on to make just 27 Premier League appearances for United before being shipped out to Paris one season later. But just what went wrong at Old Trafford for the attacker? Despite achieving an impressive average of just under 0.41 Premier League assists per 90 minutes that season, the South American’s lack of goals didn’t go unnoticed. Just three league goals for a marquee purchase left the United hierarchy unsatisfied with the return for their money. He created an average of 2.85 chances per 90 minutes too, suggesting there was no issue in terms of creative output. However, the United number seven shirt is notorious around the world. To don it, you must be an hybrid attacker, capable of mastering more than just one aspect on the game. Di Maria was best suited in Madrid playing a 4-3-3, featuring predominantly on the wing and using blistering pace and dribbling ability to attack defenders and carve open chances. It’s something he did so famously just months before in a man of the match performance for Real Madrid in their Champions League final against city rivals Atletico. However, United under Louis Van Gaal opted to play a dominating style of football, looking to control the game and create chances methodically. Under the Dutchman’s preferred diamond midfield system that season, there was no out and out winger role for Di Maria to thrive. As a result, he struggled to adapt to his side’s philosophy or rhythm of the game. That failure to demonstrate the adaptability required ultimately resulted in the Argentinian being shown the door after just 12 months. Shortly after his departure, United purchased exciting teenager Anthony Martial from Monaco for another hefty fee of £36m. Despite the price tag, Martial managed to succeed where Di Maria failed. The Frenchman hit the ground running at Old Trafford. Although featuring under the same regime as Di Maria, he netted a much improved 11 goals across his 31 Premier League appearances and chipped in with a respectable four assists too. His pace, boldness and ability to create moments of magic – such as his winner against Liverpool in his debut – was everything United though they were getting 12 months earlier in Di Maria. That season, Martial went onto establish himself as a real attacking force. Not only did he return an impressive goals tally, he also built up a reputation as a strong dribbler. He averaged 9.6 per 90 minutes with a success rate of 68.5%. In comparison, Di Maria in his debut season at PSG that same year managed just 6.36 dribbles per 90 minutes with a success rate of 69.8%. Martial also bettered Di Maria that season in terms of offensive duels, averaging 20.63 per 90 minutes with a success rate of 47.2%. Di Maria managed significantly less just 11.17 per 90 minutes with a success rate of 54.3%. 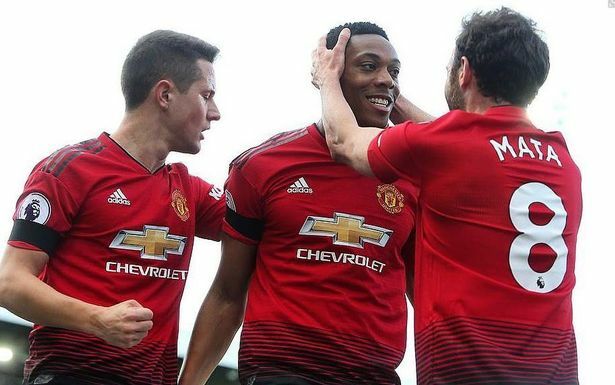 In the proceeding seasons, Martial has gone onto prove himself as a key star in United’s side and a mainstay in their attack. Even through difficult spells under different managerial regimes, the 23-year-old has proven his worth and can boast an impressive 47 goals and 28 assists in 163 United appearances. Meanwhile for Di Maria, although his time in the French capital has been successful, he was never considered the facilitator in which to catapult PSG forward on the European stage. PSG bosses invested heavily in attacking stars such as Neymar and Mbappe, therein pushing Di Maria down in the pecking order at Le Parc des Princes. At 30 years old, he now enters the twilight of his career. Meanwhile, Martial is not yet 24. With his best days yet to come, it seems the failed Di Maria moved opened the door for something much more triumphant in the form of Martial.